Oregon voters voted today to force their fellow residents to keep funding abortions with their tax dollars. By a 2-1 margin, residents of the left-win state voted to keep killing unborn children with taxpayer funds — and the voted for that after a massive out of state spending campaign by the Planned Parenthood abortion business. Outside pro-abortion groups poured massive amounts of money into Oregon this fall to continue forcing state taxpayers to pay for elective abortions. Oregonians considered Measure 106, which allowed voters to decide if they want their tax dollars to continue to fund elective abortions. Planned Parenthood, NARAL and other national pro-abortion groups have been lobbying aggressively against it. The Portland Business Journal recently analyzed political spending on the ballot measure and discovered that almost all of the money is coming from out-of-state pro-abortion groups. In contrast, the money to support of the pro-life measure is from Oregonians. Organizations who either support or oppose Oregon’s Measure 106 have given nearly $3.5 million to groups involved with the ballot initiative’s campaigns. The vast majority of that money has gone to the abortion funding measure’s opponents and has arrived via such groups as Planned Parenthood and a variety of pro-choice groups both in and out-of-state. The biggest contributions in favor of the measure, which would prohibit spending public funds “directly/indirectly” for ‘abortion’ (and) reduce abortion access,” comes almost solely from individuals who live in Oregon. The contrast could not be sharper. Pro-abortion groups are spending about $3 million to defeat the measure, while money supporting the ballot measure totals a little more than $178,000. That is a total of $1.47 million from Planned Parenthood alone, and most of the donations are not from Oregon groups. That total also does not count the money being spent by ACLU, NARAL and other pro-abortion groups. These include the dark money group Sixteen Thirty Fund, based in Washington, D.C., which put more than half a million dollars toward defeating the pro-life amendment. The biggest supporters of the pro-life amendment are Oregonians, the largest donation being $125,000 from a woman in The Dalles, Oregon. Abortion activists desperately want to keep Oregon a radically pro-abortion state. 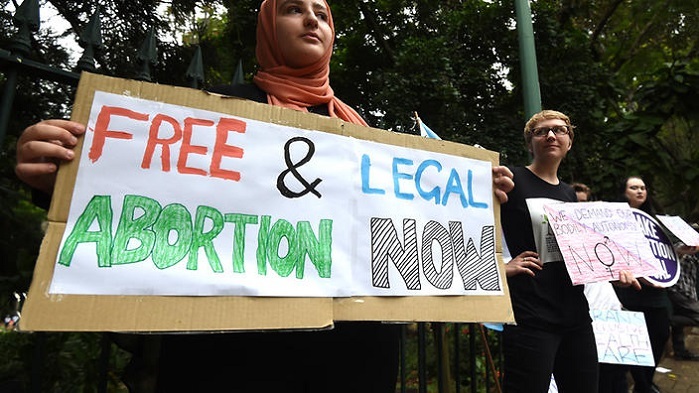 It has no restrictions on abortion, not even late-term abortion restrictions or parental consent for underage girls. Oregon is one of 17 states that forces taxpayers to fund elective abortions. Because the state has no abortion restrictions, tax dollars pay for unborn babies to be aborted for any reason up to birth. In 2017, Gov. Kate Brown signed a bill expanding taxpayer-funded abortions to illegal immigrants and government employees. About 3,700 unborn babies’ abortion deaths were paid for by Oregon taxpayers in fiscal year 2015-2016, or about 10 per day, according to the Oregon Health Authority. In 2017, taxpayers paid $2 million for about 3,600 unborn babies’ abortion deaths, according to the AP. Polls consistently show that most Americans do not want their tax dollars to pay for abortions. A 2016 Marist poll found that two-thirds of Americans oppose taxpayer funding of abortions, including a majority of women and people who identify as pro-choice. A 2016 Politico/Harvard University poll also found that just 36 percent of likely voters support taxpayer funding for abortions, while 58 percent oppose it. West Virginians will vote on a similar ballot question in November. State taxpayers there have paid $10 million for about 35,000 unborn babies’ abortion deaths.